Welcome back to another episode of the WCU PodCats! This week we examine the 2015 Week of Welcome Schedule (wow.wcu.edu) and get you prepared for all of the fun activities that students can expect to find on campus over the next 7 days during their first week of classes. As of last week we are now available through the regular iTunes podcast store so it is easier than ever to subscribe, rate, and comment about the show! 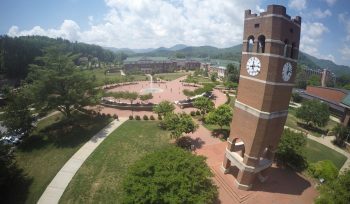 Don’t forget that we want to hear from you, our Catamount family, online at podcats.wcu.edu, on Facebook at WCU PodCats, and on Twitter at WCUPodCats. We hope you enjoy the show and as always, Go Cats! I graduated from WCU in 1970. A great place to start your adult adventures. Wish I could do it all over again. We agree! Thanks for listening Tony!